V&A Jewellery: This ring is inspired by a magnificent gold thumb ring made in the Mughal empire in the 18th century. 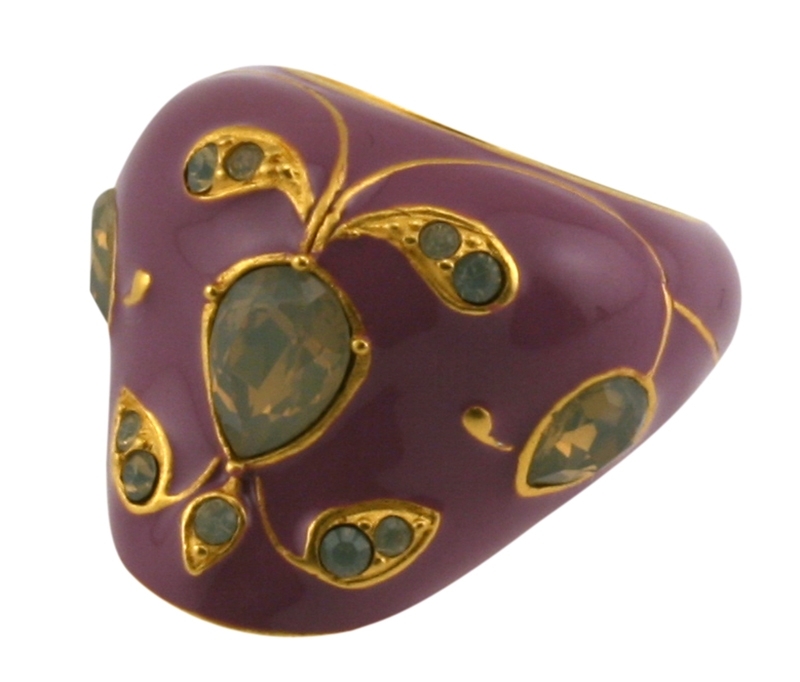 This ring is gold-plated and hand enamelled with SWAROVSKI ELEMENTS. V&A Jewellery - Love in a mist range - beautifully capturing the subtle allure of mother-of-pearl, with delicate leaf shapes suggesting constant renewal, this delightful ring is gold-plated silver (3. V&A Jewellery - Forbidden fruit range - the inspiration for this decorative gold pendant is a woven woollen fabric by William Morris featuring a vine and pomegranates.